This Cheerleader's hair bow comes with the option of having your school name on the top bow edges. This bow also comes with the metallic as the secondary color which accents the bow much more. Metallic comes in silver or gold. 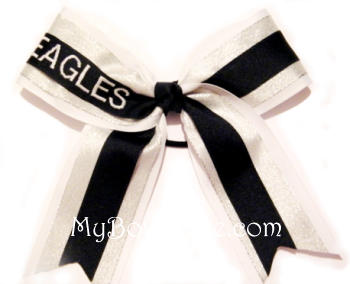 Be the center of attention at your cheer competition with this radiant bow! !